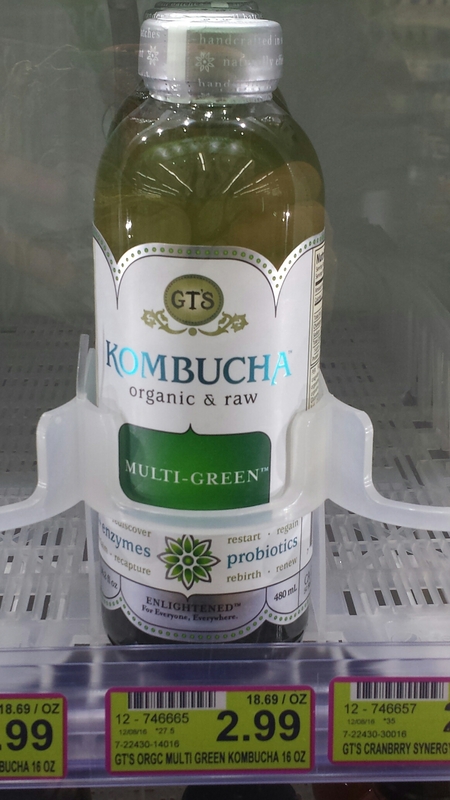 A small bottle of kombucha at the store is $2.99! A whole gallon homemade costs me maybe $1! First ferment is a pot of organic tea and a cup of organic cane sugar added to the gallon jar and filled with cool filtered water. Then check the temperature to make sure it’s 110 degrees or lower and add the scoby with a cup or so of old batch. 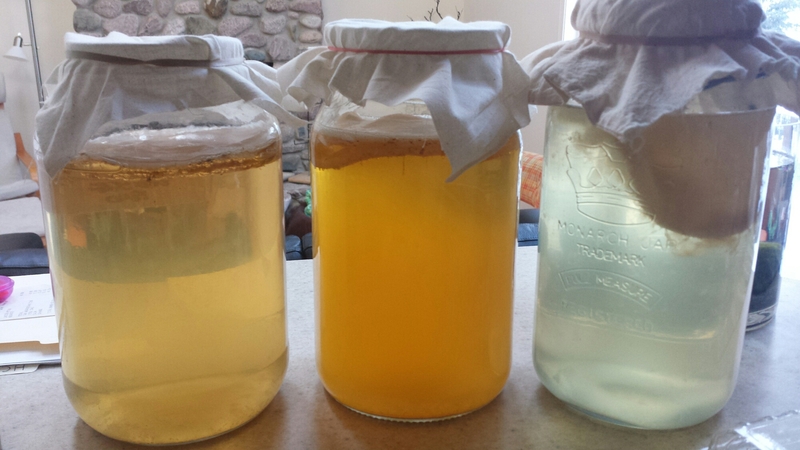 When the second scoby has been formed you are ready – about 10 days. You can drink now or do a second ferment. Different colors are due to the amount of green tea vs. black tea I used. 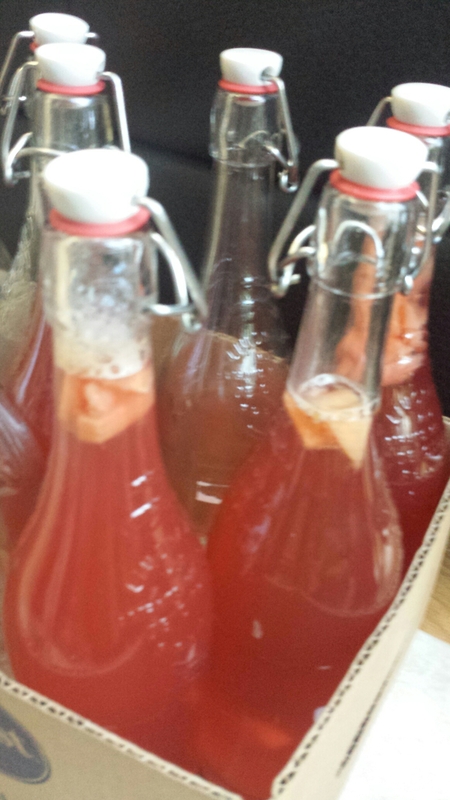 I do this in individual bottles and I add small pieces of candied ginger and /or fruit juices and syrups I make. Wait another 10 days for a new tiny scoby to form, cap tightly and refrigerate. Enjoy! It tastes great and fuels the microbiome in our guts. A nice side benefit is you get great tasting drinks for really, really cheap!